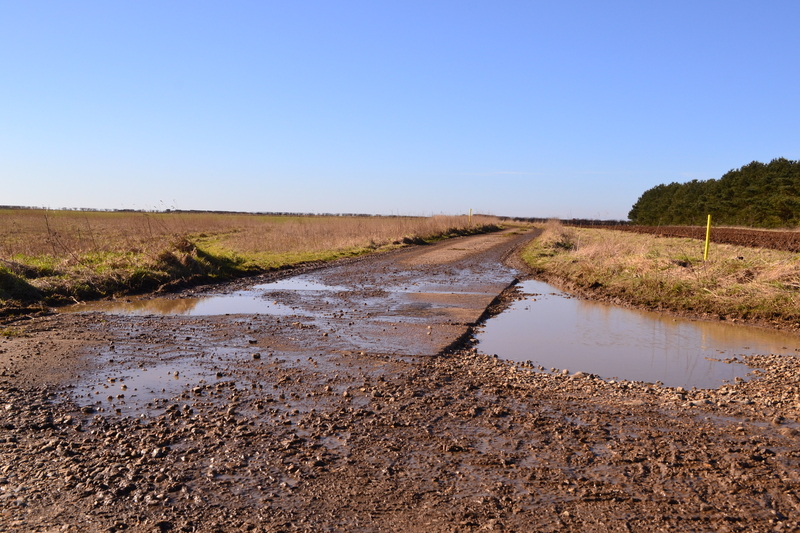 In this trail, we visit the north of Norfolk, in an area that stretches from The Wash, to the East Coast beyond Norwich. Sandringham, the Queen’s residence, is a stones throw away and this area is filled with some of Norfolk’s most beautiful countryside. This area has been on my list for quite a while now and for good reason. A few years ago, I was handed a book by the parent of a child that I had been teaching. He shook my hand and thanked me for my support and hard work with his son. The gesture, took me by surprise, and when I took the book, he added, “it’s been signed by the author”. Not a book of major works, nor a world-famous author, but a book on the history of RAF Docking, written by someone who lived there on the site. The author later became a Royal Air Force Officer, worked as a civilian within SHAPE in Belgium, and finally settled in the south Norfolk area, near Diss. The significance of the book is as much because it is signed by a ‘local’ man in an area of my interests, as it about the fact that this parent had obviously got to know me as I didn’t generally talk about my interests in school – my professional life and private life kept well apart. “Up in all Weather” by David Jacklin – a book I’ve kept to this day, RAF Docking starts this trail off. 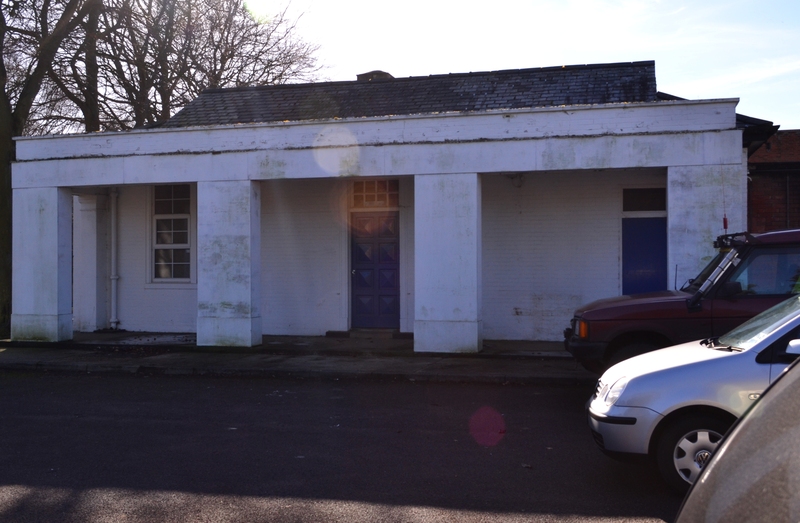 RAF Docking (also known as RAF Sunderland after the farm it took over) was originally built as a satellite for nearby RAF Bircham Newton. As one of many dummy airfields in this area, it saw an unusually high level of activity. Looking across and along what would have been runway 3 at Docking. Docking had 3 grass runways one each of 1,730 yds, 1,400 yds and 1,100 yds (all extendable) it also had 8 blister hangars, 1 x A1 hangar and accommodation for 789 RAF personnel and 92 WAAFs. Located to the East of Docking village, it was a ‘K’ site during the day and a ‘Q’ site at night. 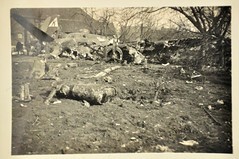 Dummy aircraft and false buildings would be used along with flarepath lighting to guide enemy bombers away from major nearby targets; it was quite successful in this role being bombed on a number of occasions. The northern side of the peri track. The bomb store is behind and slightly to the south. 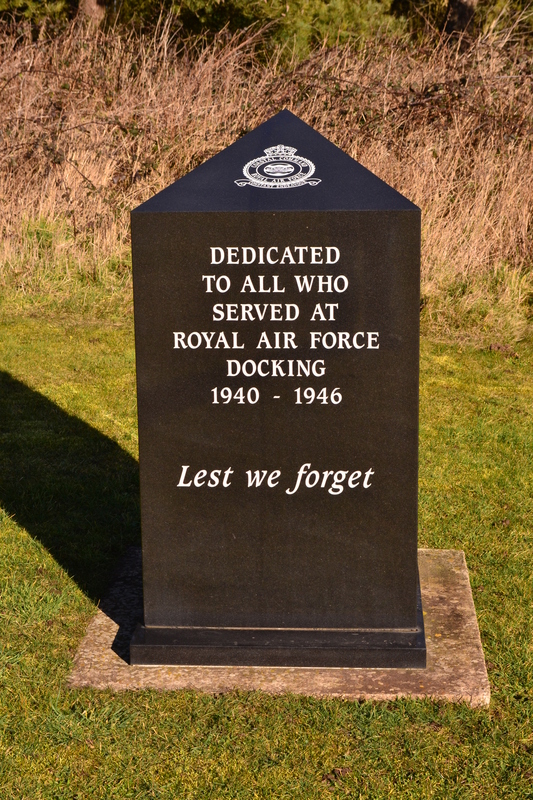 Docking became a dispersal site for RAF Bircham Newton, and often took aircraft returning during the hours of darkness. They would remain here and then be transferred home the following day. As it grew, it took more and more aircraft, eventually becoming an airfield in its own right to the point that it had its own satellite which became RAF North Creake. Many of the airfields in this area, participated in the anti-shipping role under the control of Coastal Command. A small number of larger aircraft based with RAF squadrons, having with their longer range and larger bomb loads, were also based here and used to attack targets in Holland. A wide range of aircraft both visited and were stationed here at Docking, Avro Ansons, Lockheed Hudson and even Gloster’s Gladiators graced the grass field. In fact the range was so vast, (ranging from the iconic biplanes, Swordfish and Albacore to the larger Wellingtons, Whitley and Hampdens to the more modern Spitfire and Mosquito) that there are simply too many to mention with any real accuracy. Movements in and out of Docking were frequent, but, many units were here at some point officially, these included: 53, 143, 221, 235, 241, 254, 268, 288, 304, 407, 415, 502, 521 and 524 RAF squadrons. With so many movements, it is hard to believe so little exists about its history or photographs of its activity. 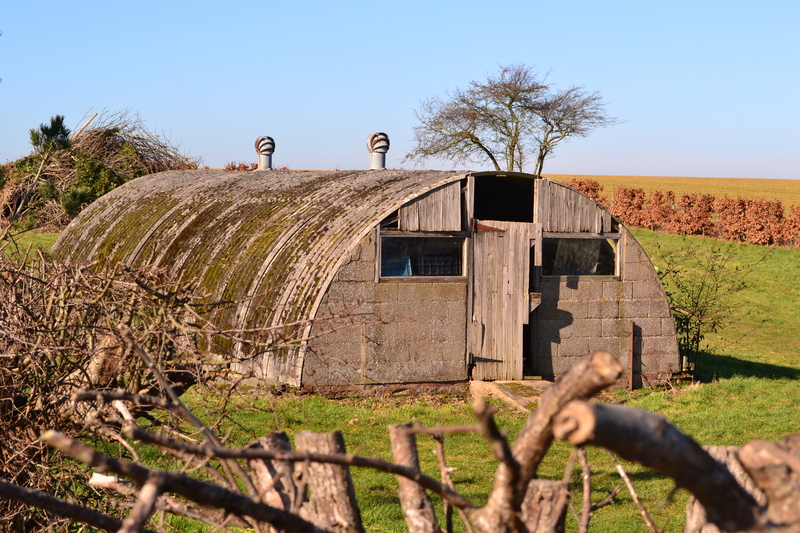 One of the crew huts now a storage unit, once housed pilots and latterly, local families. Undoubtedly, the most significant contribution by Docking was that of meteorological reconnaissance, preparing weather reports for returning bombers and reports for forthcoming mission and the like. Many of these operations involved flying up to altitudes as high as 40,000 ft, taking measurements every 5,000 ft and reporting back. They would fly in set zones around the UK, Docking’s aircraft focussing on an area between Norfolk and Wick in Scotland. These sorties were codenamed ‘RHOMBUS‘, some from the west coast flying out deep into the Atlantic and some as far north as Iceland. Later on, these flights codenamed ‘PAMPA’ would involve flying deep into enemy territory to ascertain weather conditions over the target area in advance of a forthcoming bombing raid. Performed by Spitfires and latterly Mosquitos, these were often very dangerous with many crews failing to return. Docking had its fair share of accidents. 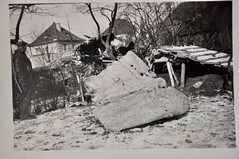 One such unfortunate incident on 10th october 1943, saw a Docking based Handley Page Hampden crash on take off, three of the crew members being killed in the ensuing fireball, whilst two others escaped – Sgt. J. Alloway and Flying Officer J. Maxwell. Alloway was severely burned and became one of ‘McIndoe’s’ army later known as the ‘Guinea Pig Club‘. F.O. 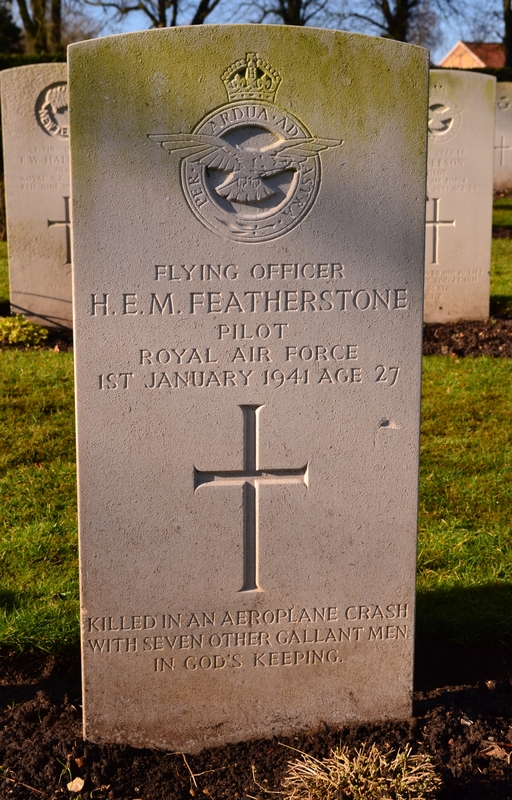 H Featherstone was killed when the HP Hampden he was in crashed. 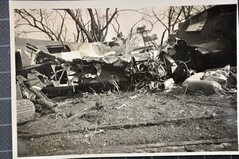 A number of other crashes, many in extremely poor weather, paid a toll on the crews, these are all talked about in detail in David Jacklin’s book so I won’t dwell here. One that is worth a mention is that of Flying Officer H.E.M. Featherstone (41275), 206 Sqdn*1, Royal Air Force who died on 1st January 1941, Age 27 when the aircraft he was in crashed killing him and seven other crew members. 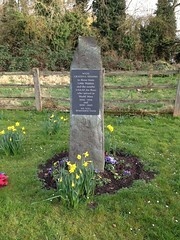 Featherstone’s grave is found in the nearby war cemetery at Great Bircham. Another ‘noteworthy’ mention is that of Pilot Officer A.L. 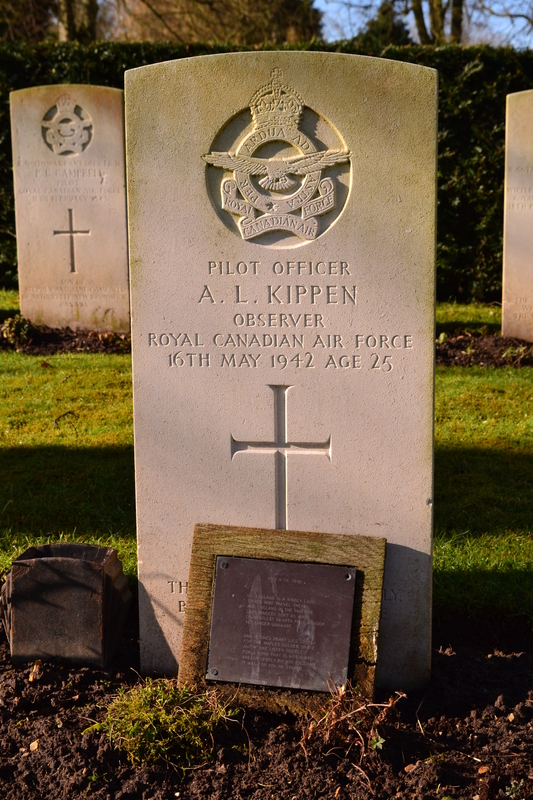 Kippen (407 Sqn RCAF) who was killed on 16th May 1942. 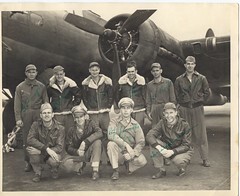 Kippen, (J/7208), an Air observer, was killed when the badly damaged Lockheed Hudson he was in, crashed on its approach to Docking hitting an anti-aircraft gun pit killing the occupants. He too is buried in the nearby church. What makes Kippen’s death so significant, is that just eight days earlier, his sister had sent him a poem, this poem now stands beside the headstone on a plaque. P/O A Kippen, Whose Poem from his sister sits at the foot of his headstone. Meteorological reconnaissance was not the only role played by Docking. Air Sea rescue were responsible for saving a number of downed crews, mine laying, anti-submarine missions and attacks by the Polish 304 Sqn RAF in the ‘1000 Bomber’ raid on Breman all form part of its rich tapestry. Even though it was a grass airfield, it became a refuge for many returning ‘heavies’, Lancasters, Halifaxes and even Stirlings found Docking a safe haven. On one day alone, 17th January 1944, a total of five Lancasters who had run out of fuel managed to land safely on its grass tracks. 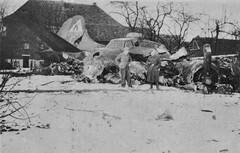 A number of B-17s also tried to land at Docking, but believing it to be a much longer runway, they ran off the end forcing their undercarriage to collapse in an adjacent ploughed field. Toward the end of the war, Docking was used less and less operationally and eventually became a ‘demob’ centre for crews. Many faces were to pass through, including Richard Burton and Mick Misell (aka Warren Mitchell/Alf Garnet for those who watched British TV!). Robert Hardy (All Creatures Great and Small) another British TV actor was also here with Burton, as was Danny Blanchflower (Tottenham and Norther Ireland footballer). With little to do, these particular crew members were often in trouble, fights, vandalism and fraternization with the locals led to many a run in with the law. After the war had ended, Docking was used as emergency housing for the locals, many stories are told by David in his book and indeed he was one of those souls who had to brave the cold and ‘misery’ of a Nissan hut in winter. 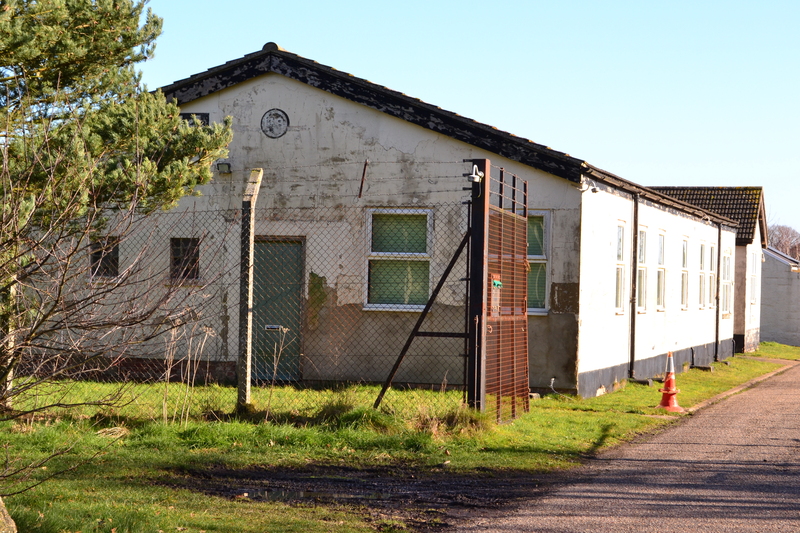 With such a ‘distinguished’ history, RAF Docking is one of those airfields that has managed to fade into the past. Little now remains of its existence. Being grass, there are no runway remains or even an indication of a runway. The perimeters being concrete now form the eastern road that pass along side the site, being single track it is considerably smaller today then it was in the 1940s. At the top of this road, where the track swings west, is the former bomb site. Now a ploughed field, its wartime existence totally masked. To the West of the site, the main road (B1154) passes through what was the admin and technical sites. 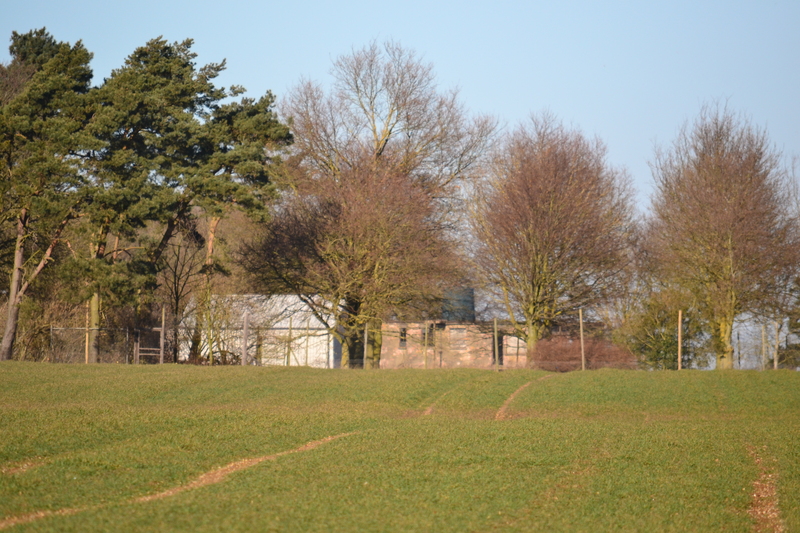 A single crew hut stands in a field marking the location of the airmen barracks. Further along, the road forks, and to the left would be a further domestic site housing crews in more Nissan huts. The triangular coppice that stands in the middle of this fork, still retains, in a very dilapidated state, the gas decontamination centre and the emergency electrical supply, the stand-by set house. Both these are in a very poor state and now house disused agricultural machinery. Careful observations amongst the bracken and undergrowth reveals entrances to underground shelters, four entrances in total. These have been blocked and partially filled by the farmer to prevent access. 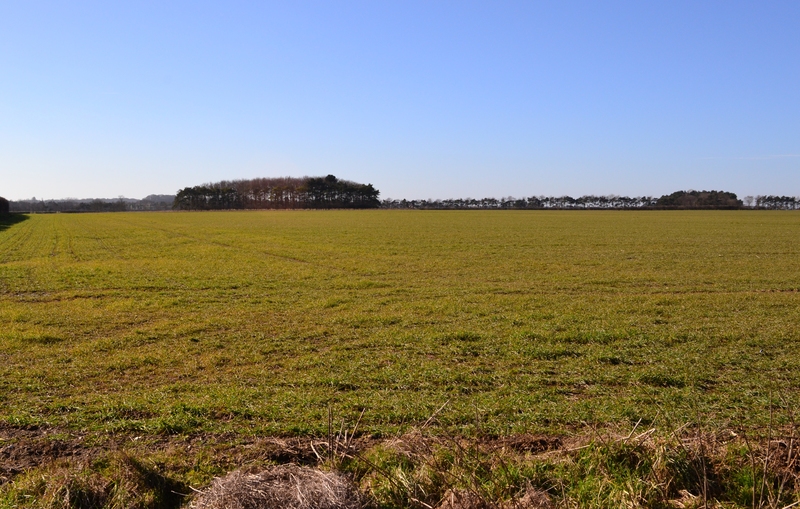 Further along the right fork, would have been to the left, the WAAF site, to the right, the water tower along with further domestic units. All traces of these are now sadly gone. The original watch tower watches over crops rather than departing aircraft. Newly created on this fork, is a memorial to those who flew from Docking, beautifully crafted in black, it over looks the airfield to the east. 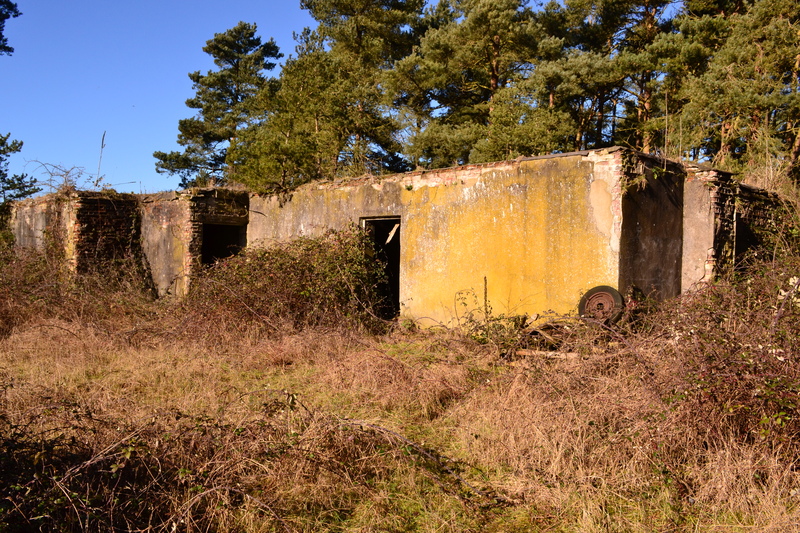 From here, a small pill-box can be seen amongst the hedgerow, and with permission, it may be accessible and could be one that was damaged when hit by an HP Hampden. The entrance to the rebuilt Sunderland farm is also along here. This led to the A1 hangar, again now gone, and on through to the centre of the airfield to where the watch office still sits. Used for storage, again with permission it may be accessible. A number of smaller buildings are still evident here too and many can just be seen between the hedgerows, from the public highway. 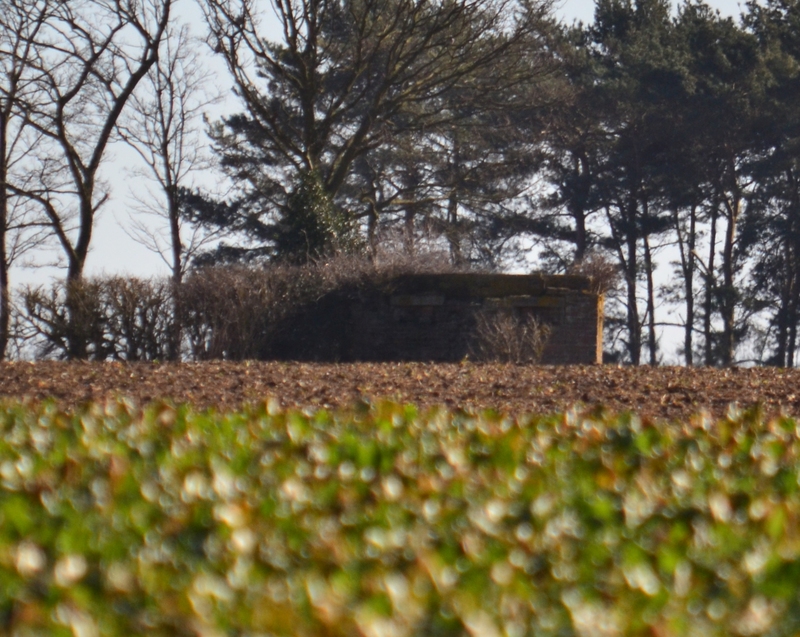 A Pill Box remains hidden in the hedgerow. When visiting Docking, it is strongly recommended that you visit the War Cemetery at St. Mary’s Church, Great Bircham, which includes 11 German war graves and a Cross of Sacrifice unveiled by King George VI on the 14th July 1946. These graves highlight the sacrifice of these men who flew in poor weather for the benefit of their more famous counterparts, the bomber crews. The high number of graves here and the stories that can be told, all reveal a rich tapestry of valour, bravery, sadness and loss that for a decoy station certainly earned its place in history. 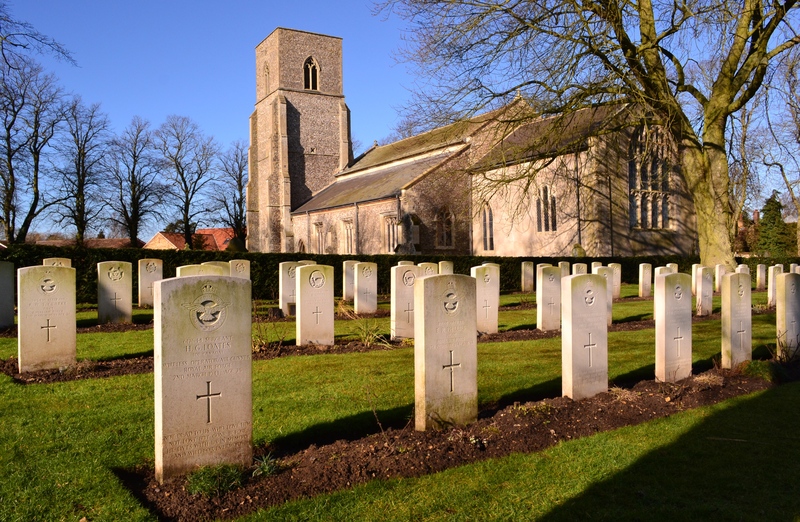 War Graves Cemetery – St Mary’s Church, Great Bircham, includes 12 German graves. On leaving Docking, we head south for a few miles, to a former station that is reputed to be not only the best preserved airfield around, but a haunted one as well. 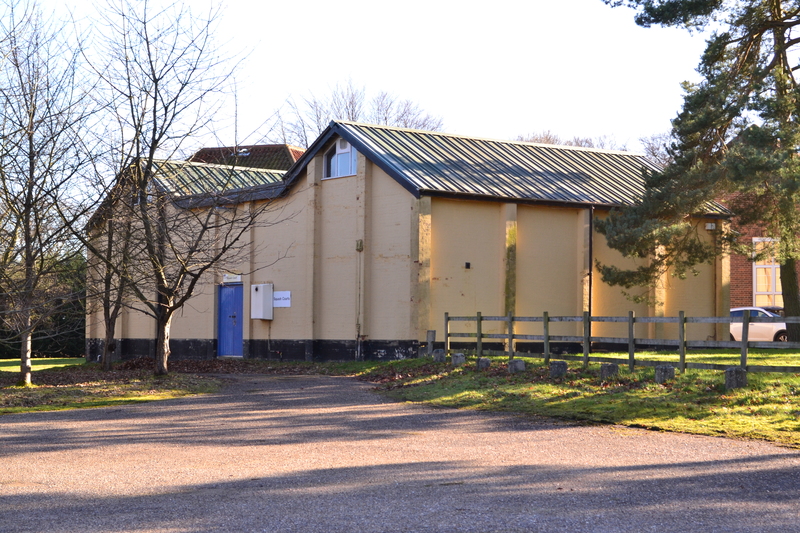 RAF Bircham Newton. Opened in 1916, its first operational use was as a fighter gunnery School in 1918. 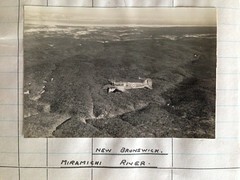 Its runways were grass and early residents included: DH4, DH5 and the DH9, amongst others. 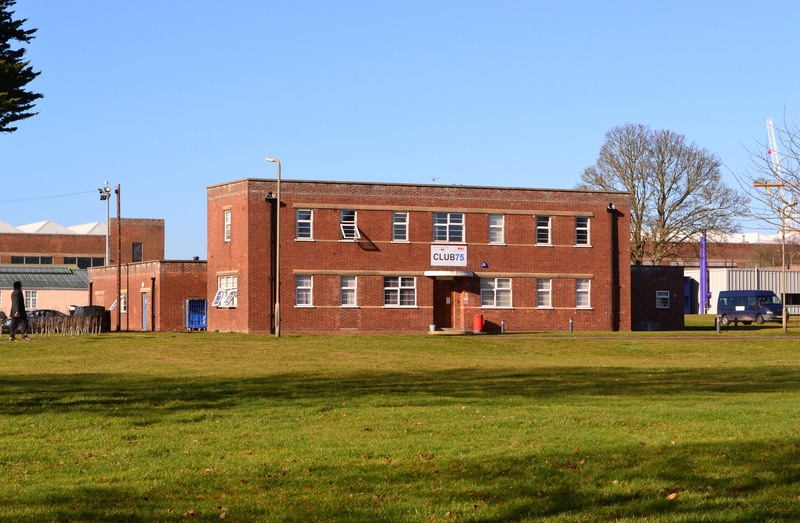 There then followed a period of expansion and development where larger buildings and accommodation blocks were built. Its first and possibly its most significant early aircraft, were the Handley Page V/1500 bombers*2. An enormous 4 engined aircraft, it was designed to hit Germany hard, targeting Berlin from airfields in East Anglia. 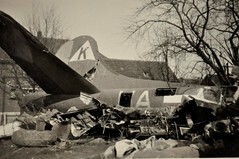 *1 Details of 206 Sqn fatalities (10/05/1940 – 30/06/1940) are available here and on the 206 Sqn Coastal Command website. *2 A detailed history of the production of the HP.15 /1500 can be found on Tony Wilkin’s blog ‘Defence of the Realm‘. Details of Great Bircham war cemetery graves are available at the role of honour of St Mary’s Church. 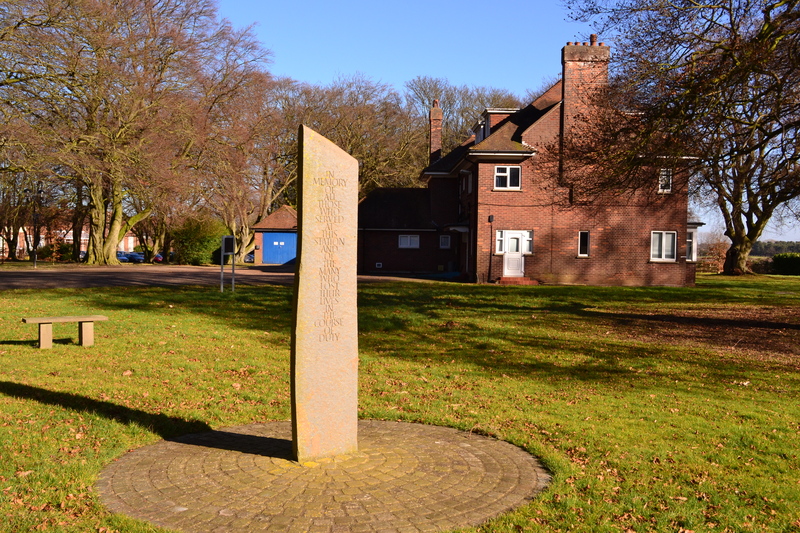 The memorial project at RAF Bircham Newton has a website and can be found here. Norfolk Heritage Explorer has more details here. Please see the comment below from David Jacklin. Would you be interested in having a mutual link from your site to ours (Cambridgeshire Heritage Aviation Trail)? Hi Gordon, be a pleasure to, I’ve emailed you accordingly. Andy. 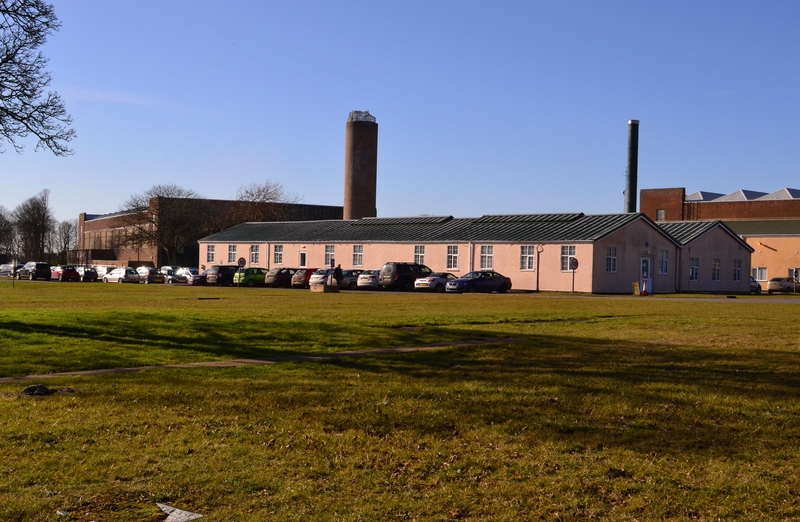 It is worth noting that David Jacklin, who wrote the book ‘Up in all Weather’ cited in Trail 20 – North Norfolk (Part 1), is a founder member and Chairman of the RAF Bircham Newton Memorial Project, the group that erected the RAF Docking and RAF Bircham Newton Memorials and also operate the RAF Heritage Centre within the campus of the National Construction College (NCC) at Bircham Newton. Also, as minor corrections to the Trail 20 text, David did not become a teacher. He was a Royal Air Force Officer and then worked as a civilian for NATO at SHAPE in Belgium. He settled in South Norfolk, near Diss.